OMEGA 12'' high speed steel aircraft extension drill, 135° split point. OMEGA High Speed Steel Aircraft Extension Drills are manufactured to Aerospace Standard 907 and are ideal for drilling in tough alloys, stainless steel, titanium, inconel, and other high strength materials or where extra length for reach is needed. OMEGA High Speed Steel Aircraft Extension Drills feature a 135° split point that is self-centering and reduces thrust. 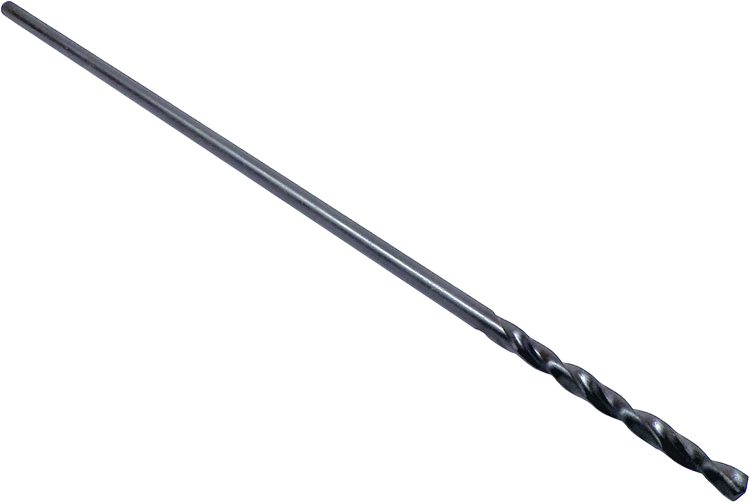 The OMEGA AHSX12 #A High Speed Steel Aircraft Extension Drill, 135 Degree Split Point is one of thousands of quality tooling products available from MRO Tools. Please browse 12'' High Speed Steel Aircraft Extension Drills 135 Degree Split Point for tools similar to the OMEGA AHSX12 #A High Speed Steel Aircraft Extension Drill, 135 Degree Split Point. 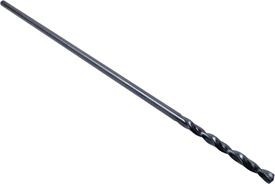 OMEGA AHSX12 #A High Speed Steel Aircraft Extension Drill, 135 Degree Split Point description summary: OMEGA 12'' High Speed Steel Aircraft Extension Drill, 135° Split Point. Size: A Decimal: 0.2340 Quantity discounts may be available for the OMEGA AHSX12 #A High Speed Steel Aircraft Extension Drill, 135 Degree Split Point. Please contact MRO Tools for details.